Products reviews in only one page and e-mails ! 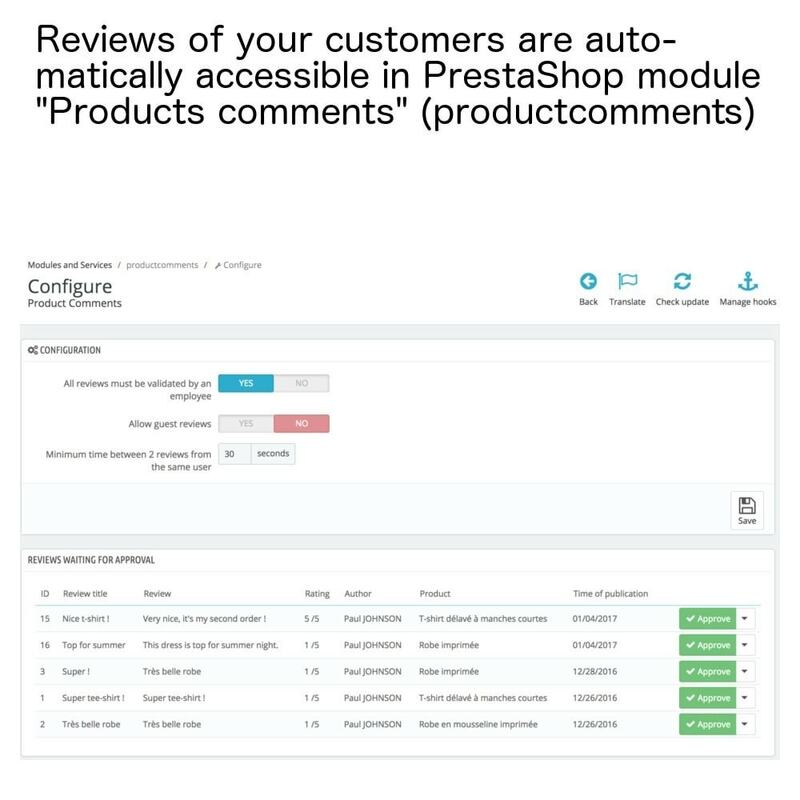 Home / PrestaShop modules / Klanten / Klantbeoordelingen / Products reviews in only one page and e-mails ! module	Products reviews in only one page and e-mails ! 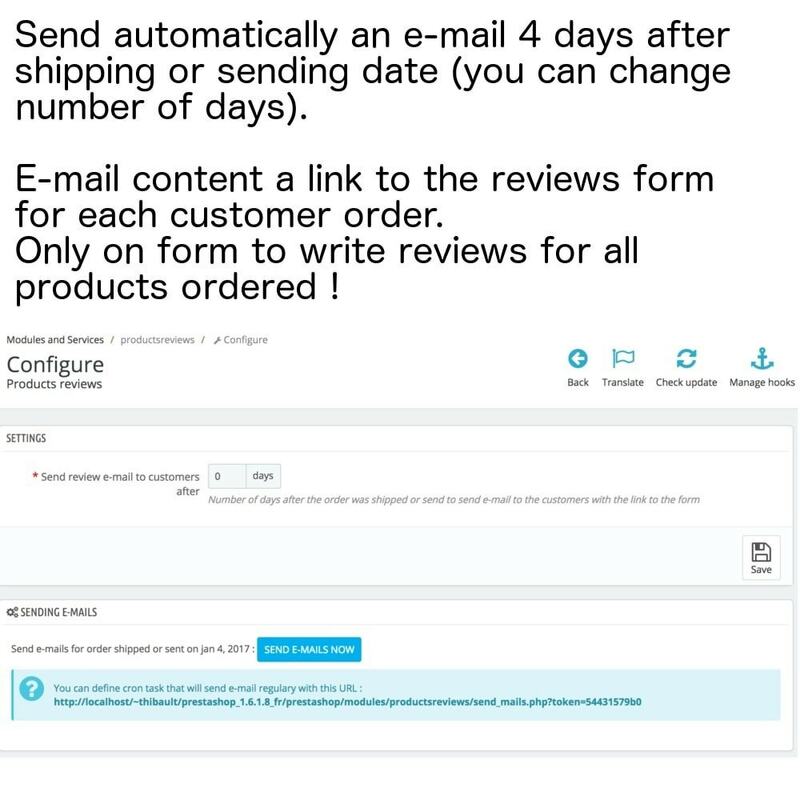 This module generate a form for each order allowing your customers to write review for each product ordered in only one form ! 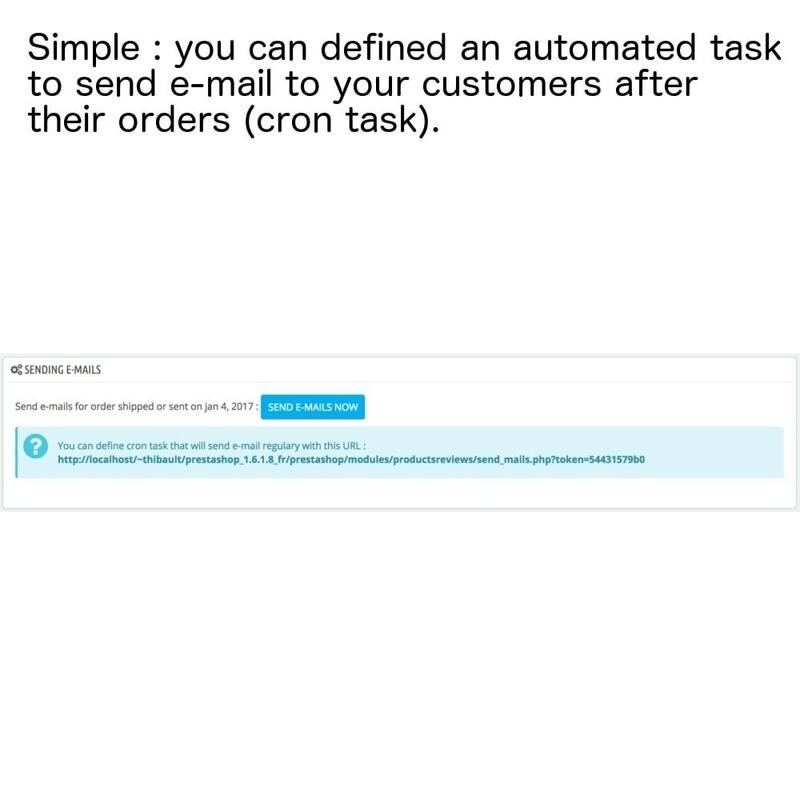 Also send e-mails after each order shipped, containing a secured link that permit to access reviews form without login. 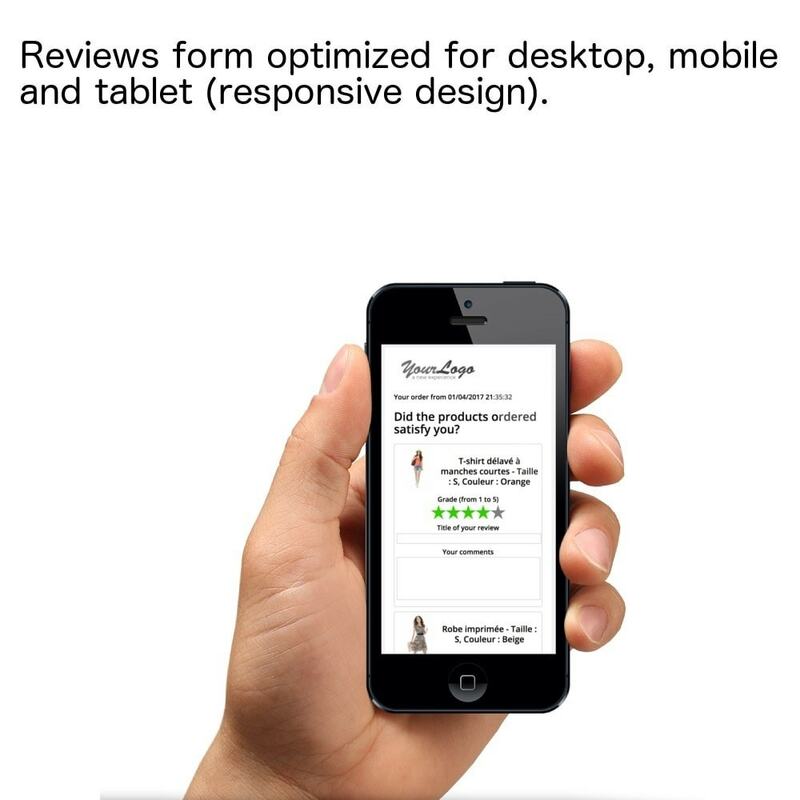 Products reviews are essential for boosting conversion rate (and for SEO too) ! This module ease your customer to write reviews, multiply the chances to have review for your products. * One reviews form for each order even if there is many products ordered. 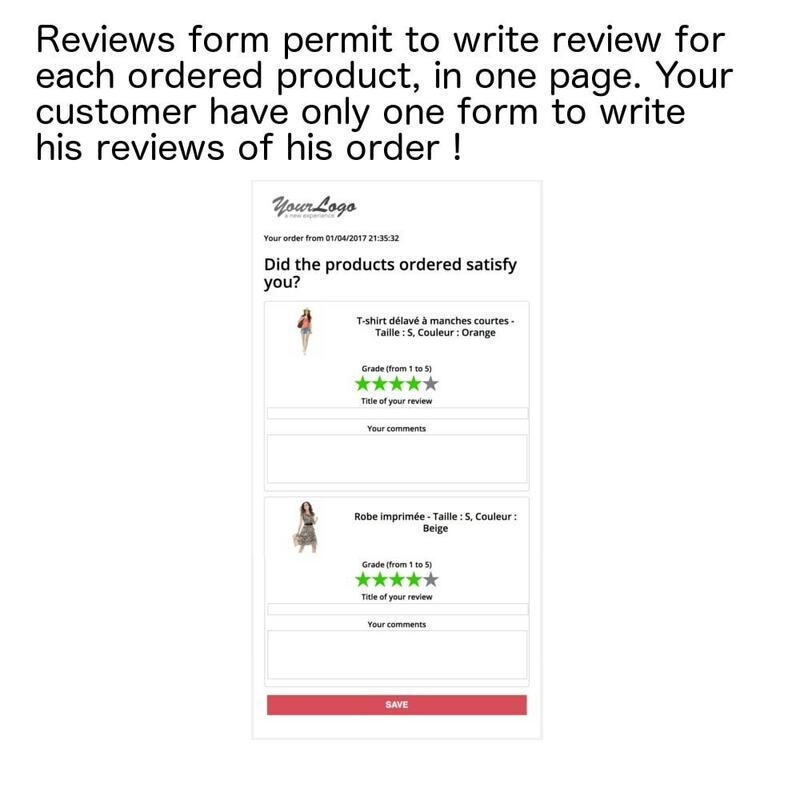 Customer can now write reviews in only one form even if he ordered many products. 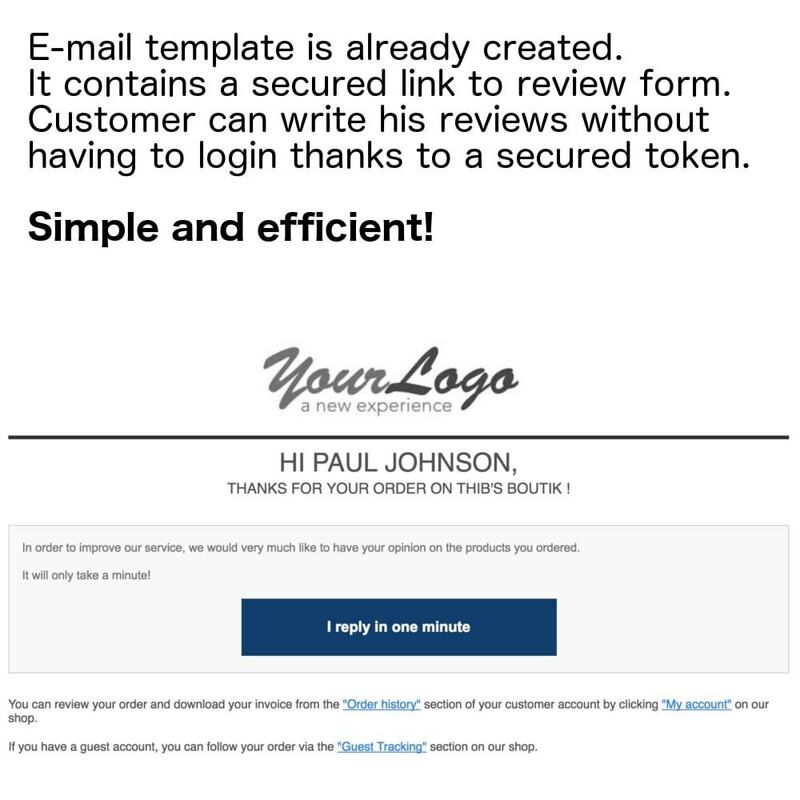 It's really easy for him to give feedback, especially that it does not have to connect to access this form from e-mail ! 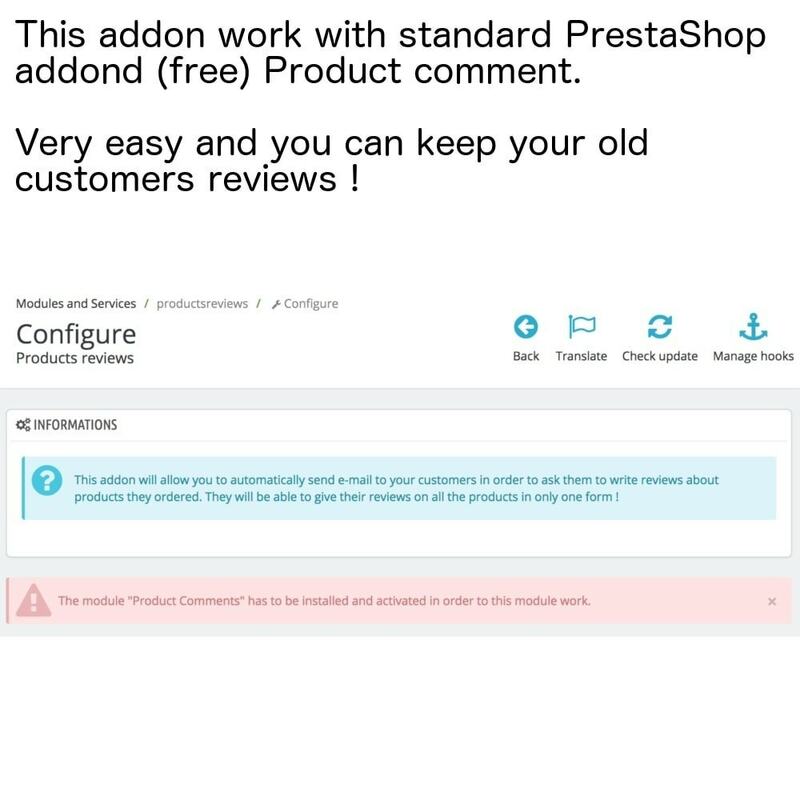 Important : This module required the addon "Products Comments" (free addon in PrestaShop 1.6.x) in order to work. This module generate and insert automatically Google Rich Cards tags in your products pages. Essential for SEO ! It's the new version of Google Rich Snippet.